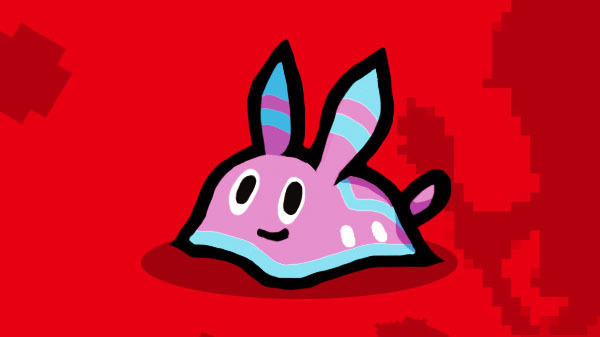 The most recent Weekly Famitsu has revealed to the world FuRyu’s next title. The developer/publisher — perhaps best known for The Caligula Effect, The Legend of Legacy, and The Alliance Alive — has launched a teaser website showing off the new title’s mascot (below) and some background music. The Switch-exclusive Work x Work was originally planned for smartphones, but the development changed to the Switch as its scale grew. The RPG focuses on two characters, a prince who is trying to defeat a demon king and a young man with a part-time job at a theme park called Heroes Land. The player becomes the protagonist’s dog, all of things, and guides visitors through the park’s dungeons. The visiting families become your party members in each dungeons. Work x Work is being developed by Netchubiyori and the game is estimated to be three-quarters complete. It will be released in Japan on September 27. And that all-star cast I mentioned? It’s directed by Suzuka Yamamoto and produced by Takuya Yamanaka, both know for The Caligula Effect; scenarios are by Mother 3’s director, Nobuyuki Inoue; and graphics are by Nobuhiro Imagawa, the man behind Fantasy Life who is also mostly known for Mother 3. We’ve praised Voez in the past, so the fact this game that started on smartphones is now receiving a physical release for the Switch is beyond exciting! Published by PM Studios and Acttil, the rhythm title will be available on store shelves beginning July 24. This release includes all updates to date for the digital version. This means Joy-Con controls in addition to the usual touch screen option. It also means a whopping 174 tracks to choose from. 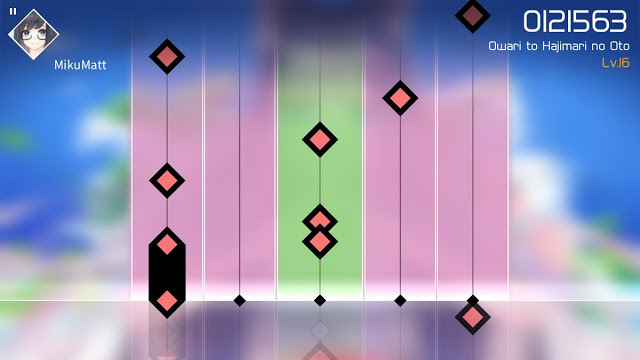 Developed by Rayark Games, Voez’s levels have notes falling down the screen on different lines. Depending on the type of note, the player has to tap, hold, slide, or swipe it. There are three difficulty levels and an animated storyline to keep you coming back for more. With the impending release of Clannad for the PlayStation 4 in Japan — the classic visual novel is receiving both a digital and a physical release on June 14 — we’ve been wondering about a Western release. 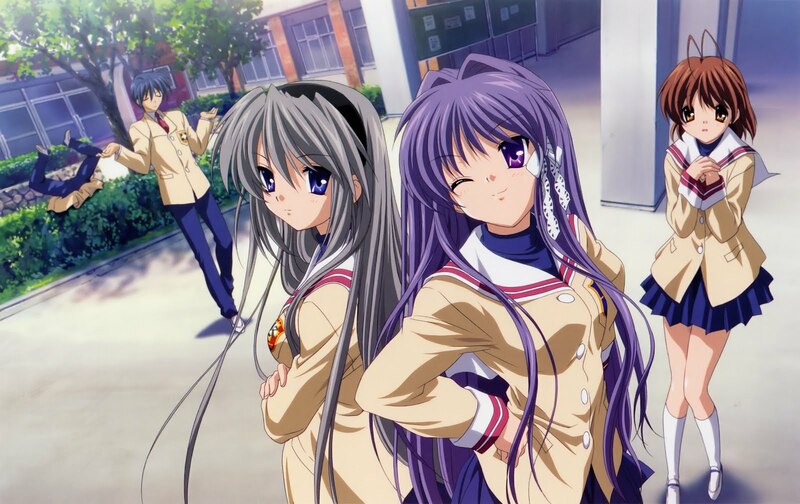 Clannad is a relatively old title, originally releasing for Japanese PCs back in 2004 but not receiving an English PC release until Sekai Project brought it to us in 2015. You can read my review here. Prototype has announced that it will be releasing the PS4 version of Clannad as an English-language digital title in North America (late June) and Europe (planned but undated). 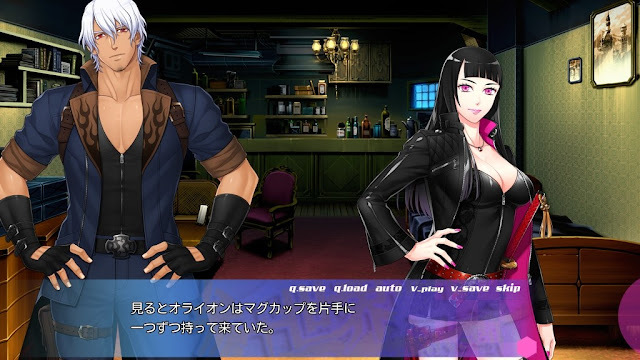 Regardless of the version of the game you end up getting, you can switch between Japanese and English text at any point during the game. That means if you’re a physical game junkie, you can import and still enjoy! There is no such thing as too many otome visual novels on the PS Vita, so it’s lovely that more are coming despite the console’s decline thanks to the Switch. Sanzen Sekai Yuugi ~MultiUniverse Myself~ will be released under the slightly different title of Sanzen Sekai Yuugi ~Re Multi Universe Myself~, and Koshotengai no Hashihime is also coming although no new title has been announced. Sanzen Sekai Yuugi ~Re Multi Universe Myself~ will launch on August 30 in Japan. The title is set a century into the future, which is40 years after parallel universes were discovered. Technology continues to advance. Our protagonist in Tomoe, a bounty hunter whose life is at risk in one of said parallel universes.The game includes new scenarios, feature refinements, high-resolution images and touch screen support. While the PS Vita version of Koshotengai no Hashihime has been announced and will release this fall, no other information is known about this new version. The story, however, will remain the same: it’s the Rainy Season in Tokyo, and Tamamori’s been taking advantage of his “friends” — until they begin dying and Tamamori realizes he’s been repeating the same three days over and over.